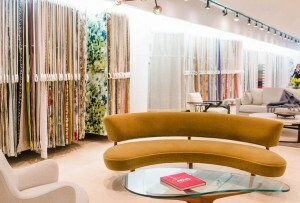 From appliances and drinkware to furniture and light fixtures, home décor continues to embrace the cheerful color. 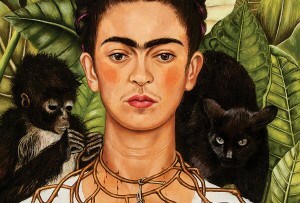 By Francesca Mills Purcell·	 3/23/2018, 4:14 p.m. Sorry, Regina George: Pink isn’t just for Wednesdays anymore. 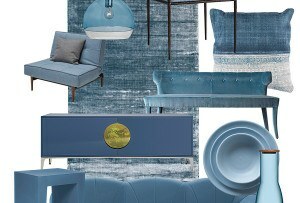 From Chanel’s spring/summer runway show to Pierre Frey’s new velvet collection, the cheerful hue is—for yet another season—popping up just about everywhere. Need more proof? 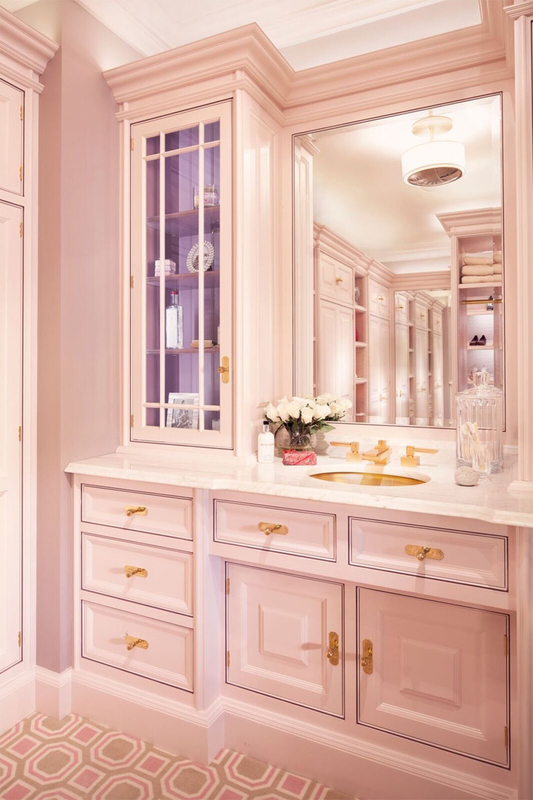 Check out Christopher Peacock’s Boston Design Center showroom, where the British design guru created a soft-pink bathroom with luxe 24-karat-gold fixtures as part of his Hepburn Collection. “[It’s] totally glamourous, opulent, and girly—exactly what a woman’s bath and dressing room should be,” Peacock says. 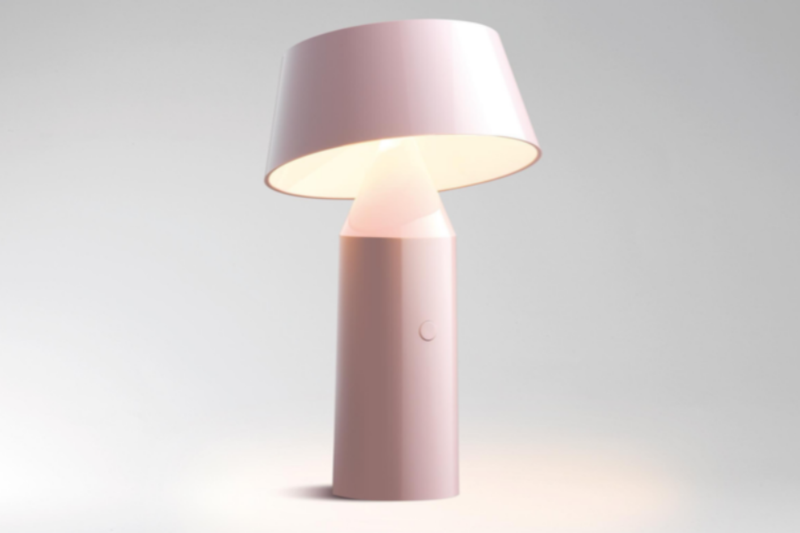 Other home-goods designers have latched onto the pink trend, too, incorporating the colorway into appliances, glassware, light fixtures, furniture, and more. 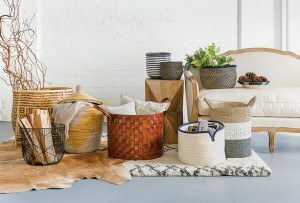 Here, we share a few of our favorite pieces. 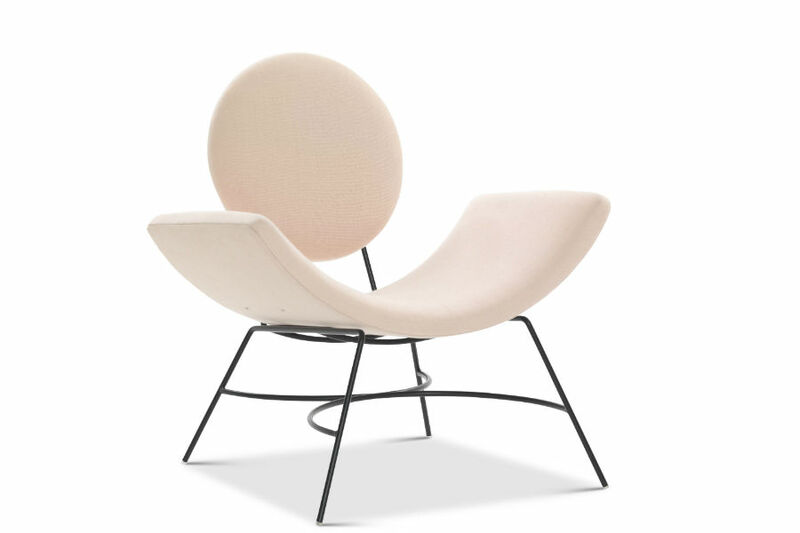 “Elroy” arm chair with iron base, $1,125, Mitchell Gold + Bob Williams. Marset “Bicoca” polycarbonate table lamp, $295, Neena’s Lighting. 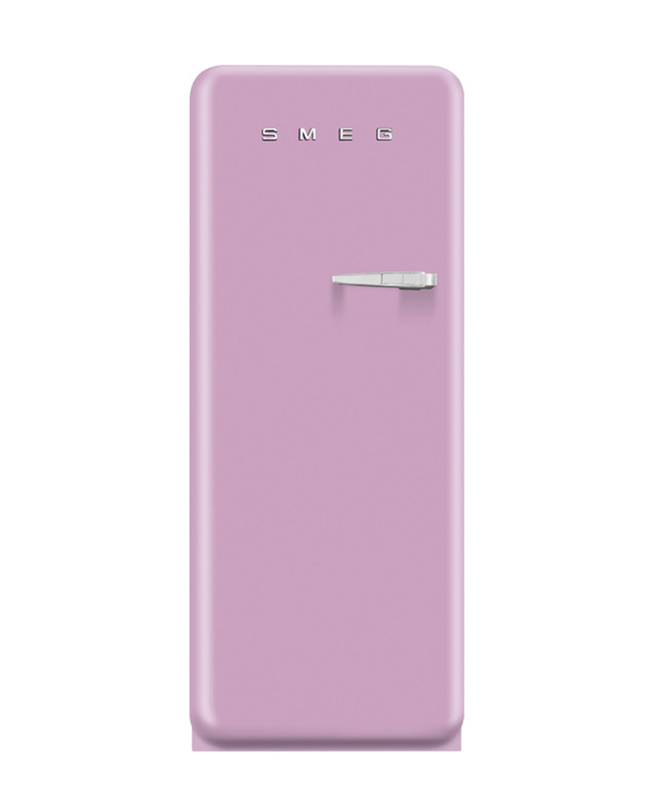 SMEG “FAB28” refrigerator, $1,999, Eataly. 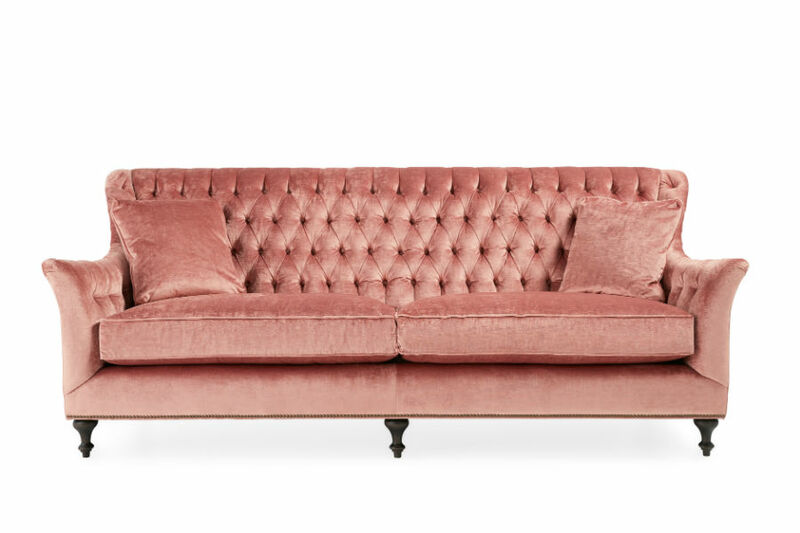 “Fiona” tufted sofa, $3,299, ARHAUS. 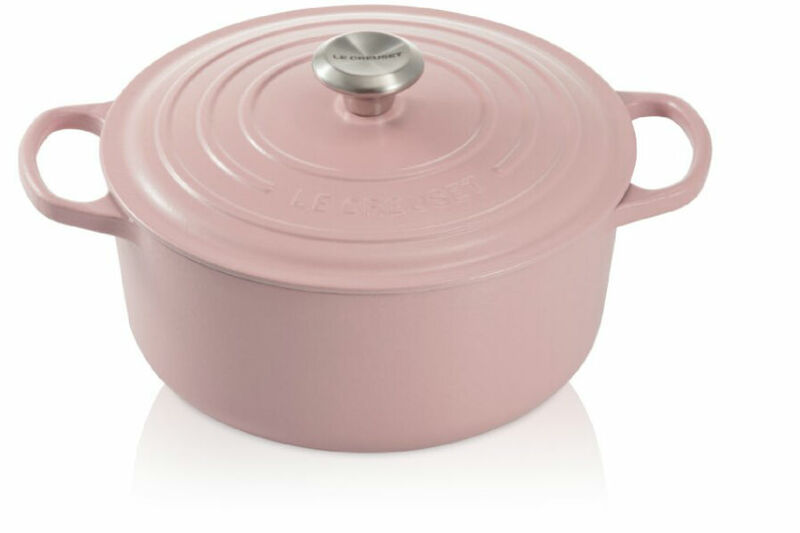 Le Creuset “Signature” cast-iron French oven, $549, Williams Sonoma. 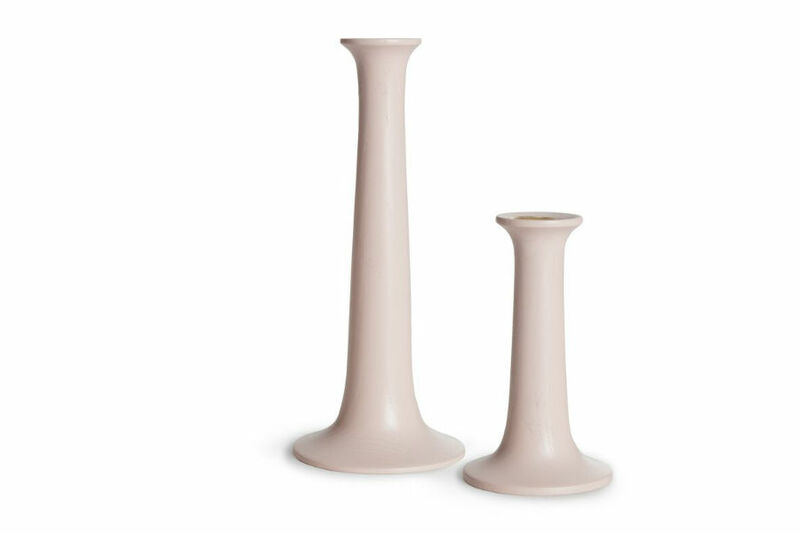 Hawkings New York “Simple” wood candle holders, starting at $38, Hudson.